(by Andrew V. Pestano, UPI) — U.S. Secretary of Homeland Security John Kelly said there was a 40 percent decrease in illegal crossings from Mexico into the United States from January to February. Citing data from U.S. Customs and Border Protection (CBP), Kelly said the “unprecedented decline in traffic” — which is measured by the apprehension and the prevention of entry of people illegally entering the United States — “shows a marked change in trends” since President Donald Trump won the U.S. presidential election, particularly since he took office. On Jan. 25, Trump signed an executive order to strip federal grant money from so-called “sanctuary cities” — U.S. municipalities that protect undocumented immigrants from federal prosecution. Trump’s order also seeks to hire 10,000 additional immigration officers, to build more detention centers and to prioritize undocumented immigrants for deportation. 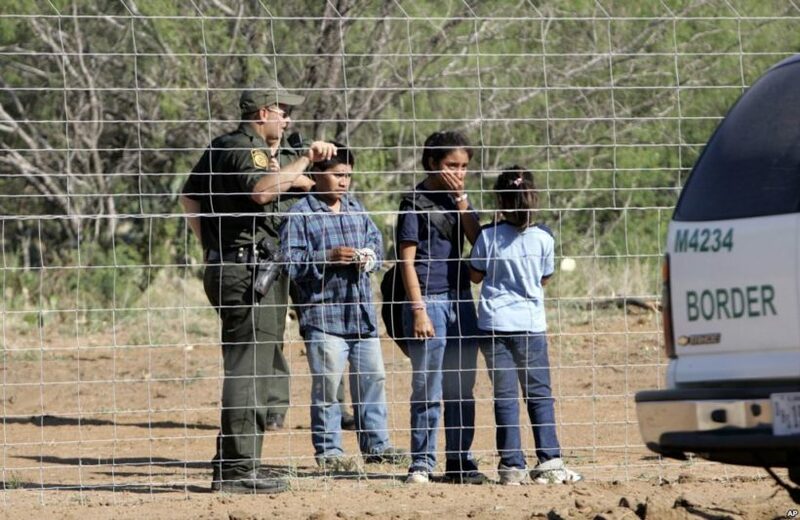 Kelly also said that due to changes in U.S. policy, “coyotes” — human smugglers hired to traffic people into the United States — have also increased their fees by about 130 percent, from $3,500 to $8,000. The higher price means fewer immigrants will likely pay to cross illegally, Kelly suggested. “The decrease is also encouraging news because it means many fewer people are putting themselves and their families at risk of exploitation, assault and injury by human traffickers and the physical dangers of the treacherous journey north,” Kelly wrote. The number of unaccompanied children caught crossing the border was about 52,000 between October 2013 and June 2014. Kelly this week said his agency is considering separating undocumented children from their parents if caught illegally crossing the border. [He explained that the primary objective of separating children from adults is to discourage further illegal entry via dangerous smuggling networks. Reprinted here for educational purposes only. May not be reproduced on other websites without permission from United Press International (UPI). Visit the website at UPI .com. On Feb. 21, U.S. Department of Homeland Security Secretary John Kelly began implementation a host of immigration enforcement changes ordered by President Trump, directing agency heads [including Border Patrol and ICE] to hire thousands more officers, end so-called “catch-and-release” policies and begin work on the president’s promised U.S.-Mexico border wall. “It is in the national interest of the United States to prevent criminals and criminal organizations from destabilizing border security,” Kelly wrote in one of two memos released Tuesday by the department. A DHS official said the agencies are “going back to our traditional roots” on enforcement. Visit the U.S. Customs and Border Protection website for more information.